Hamsters are energetic and inquisitive creatures that are incredibly enjoyable to watch play. 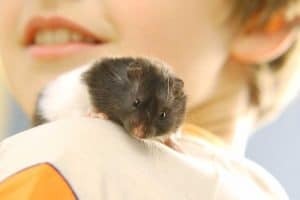 So when your pet’s typical behavior changes, it might make you wonder if your hamster is bored. I am happy to share my experience with how to identify this type of behavior, as well as ways to alleviate it. Sleeping or resting – An animal that is bored will spend a lot of time sleeping or laying around without moving. Chewing – When he is not resting, he might chew on anything that is available to them in an attempt to entertain himself, especially the bars of his cage. Hyperactivity – When he is not resting, he could behave manically running back and forth, or climbing and jumping trying to get out his cage. Boredom can have a very negative effect on the physical and mental well being of your hamster. It is important that you are not just able to recognize that he is bored, but that you also know the different ways that you can improve his environment so that it is more entertaining and engaging for him. Below I have detailed both of these topics so you have the tools you need to help your friend live his best life! Lethargy- You hamster may sleep more than usual, or just lay around when he is awake. This is uncommon as hamsters are normally very active and inquisitive animals. Bar Chewing- A hamster that is bored will look for avenues for entertainment. If nothing else is available, he may gnaw on the bars his cage. This serves two purposes. It gives him something to do, and it may also be an attempt to draw attention to the fact that he is bored. Erratic and spasmodic activity- This is also an effort on the part of your pet to entertain himself and burn off some energy. Excess eating- Not unlike humans, a hamster that has nothing else to do may eat more. This could result in obesity and health problems, including diabetes in breeds that are prone to the disease. 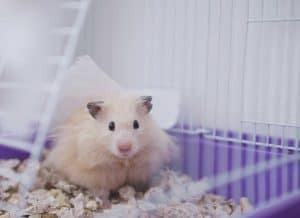 To avoid these behaviors, it is important to provide your hamster with enrichment activities that give him plenty of exercise for both his mind and body. We’ve put together a list of 10 ways in which you can spice up your hammy’s life. These all provide forms of enrichment to increase physical and mental stimulation for your little furry pet. Hamsters need plenty of room to run and play. The National Hamster Council recommends a minimum of 1000cm2 of usable floor space for Syrian hamsters and 800cm2 of usable floor space for Dwarf Hamsters. This will vary according to each individual hamster as well. Some hamsters may need more space. Amazon Basics Pet Habitat is a basic example of what your pet needs. At over 2745 square cm of floor space, there should be plenty of room for your furry friend to scamper around. At 52 cm high, there is also ample room for a hamster house and other items I have listed below. #2 Get creative with dinner time. Scatter feed along the bottom of your hamster’s cage instead of feeding him from one location. This encourages his natural foraging instincts as he will need to burrow and search for his food. Mix a few treats into the rotation to keep him interested. You can also hide treat stuffed toys throughout the bedding that provides a puzzle that must be worked out before a treat is released. One type of treat he might really enjoy is a mix of fruit and seeds specially formulated for your hamster, such as Brown’s Tropical Carnival Natural Select Seeds Treat. #3 Give you hamster something to chew on. Chew toys not only help to keep your furry friend entertained, but they are very important for their oral health. 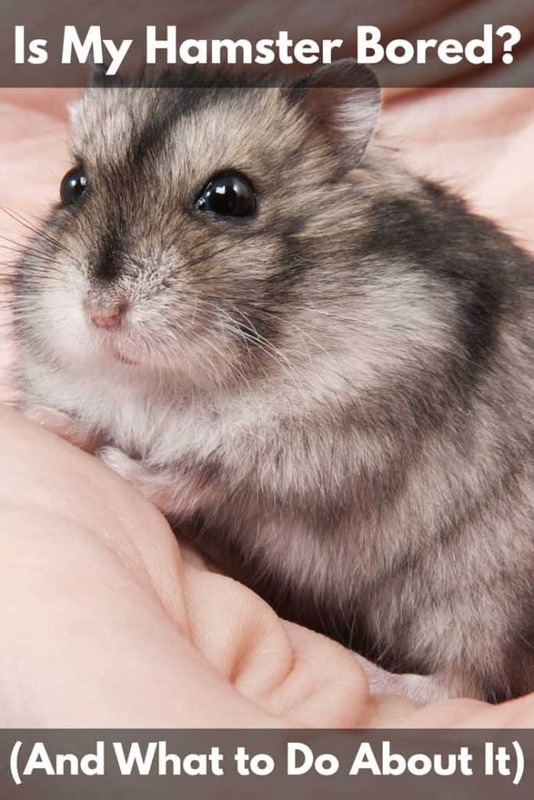 A hamster’s teeth never stop growing, so they need to gnaw and chew in order to keep their teeth ground down. There are toys that double as chewables, as well as some structures that are available. Hamsters will chew on almost anything, so please be careful when selecting items to put into his cage that are safe for him to ingest. Mini Vine Balls These mini ball made out of vine are perfect for your little guys to chew on or roll around. Bwogue Hamster Chew Toys Set A variety pack of wooden goodies for your hammy to play with, this set promises hours of entertainment for your little guy. Choose a multilevel or section hamster house and connect tubes that run around the cage creating a series of tunnels that you can change up. This meets your hamsters need for burrowing, as well as engaging his intellect when you make a maze out of the tubes that you change periodically. It is very important as hamsters need to have one of these in their cage. Make sure that you get one that the correct size for your pet. A wheel for dwarf hamsters should be at least 6 to 8 inches for dwarf breeds of hamsters and 8 to 12 inches for Syrian hamsters. The wheel should be large enough that your pet does not bend his back when he is running on it. If the wheel is too small, he may hurt himself, or just not use it. You should also make sure that you have a solid surface one, not one made of metal or plastic rungs as a hamster can get his foot or leg caught in between the rungs and hurt himself. #6 Add a home gym! Hamsters love to climb and run, so including structures will ramps, ladders, teeter-totters, and multi-levels will give him different places to go, see, and do. One great example is this Rosewood Activity Suspension Bridge. Hang it up where your hamster can climb up onto it and watch him run back and forth and climb on the little ladder. Another option for exercise is the Activity Assault Course that is a miniature obstacle course for your pet. It is also made of all natural wood, so he can chew on it if he feels like it. Puzzle Toys are a great addition to your hamster’s cage or floor play. Hamsters are intelligent and solving the puzzles presented by these type of toys will engage and stimulate his mind. SuperPet Critter Puzzle Seesaw – This small plastic seesaw is a great addition to your hamster’s cage. UEWETEK Wooden Maze -This wooden maze is perfect for small hamsters and will provide him with mental stimulation and physical exercise as he tries to figure his way out of this box. #8 Provide plenty of playtime outside of the cage. You need to make sure that you are spending time every day letting your hammy roam freely around closed off room under close supervision. This lets your little guy stretch his legs, run to his heart’s content and explore away. Hamsters are curious and adventurous so this will make him very happy. This is also a good time or you to handle him and talk to him or play games. This is the perfect time for you to use a hamster ball if you want. If you are going to let your hammy run loose, please make sure that you have hamster-proofed your room so it is safe for him. For tips on how to do this, see this post on How to Hamster Proof a Room in Ten Easy Steps. A hamster ball like this one from Kaytee, will allow your pet to run around and explore without you having to worry about if he is getting into something that he should not be, or escaping when your back is turned. If you are concerned about your hamster roaming too far in his ball and rolling somewhere he should not be, you can also put this ball onto a Hamtrac track. When choosing a hamster ball, you want to make sure that it has plenty of ventilation holes. Also make sure that you are aware of the temperature, as dark-colored balls get hotter faster than clear or light colored ball. You don’t want to roast your hamster. Remember to keep the safety of your pet first in mind when using a hamster ball. Just because he is encased, does not mean that he can be left alone and without constant supervision. The ball should be used in a shady or air-conditioned area, to prevent your hamster from overheating. Also, balls are not a good option for some hamsters. In fact, some owners choose to never use them. They feel that the ball prevents the hamster from interacting with his or her environment, which is essential to a hamster’s well-being. So, use your own best judgement and if you do try the ball, limit the time your hammy spends in it to a few minutes at a time and look for signs of stress. Read more: How long should you keep a hamster in a ball for? #10 Create Do-It-Yourself enrichment items. There are a lot of household items that hamsters love. Toilet paper tubes stuffed with tissues with treats hidden inside, unscented tissues in the box, and paper towels are great because hamsters love to shred and chew the paper products and will use the shredded paper to create a bed, or hide their food. Another cool idea is to drill a hamster-size hole or two into a dry birdhouse gourd. 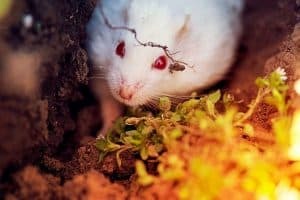 Your little critter will love to eat and chew it up, and it can climb inside and forage for the seeds or bring some of the shredded tissue inside for a nest. While we’ve mentioned tunnels above as a way to fight boredom in cats, they’re worth a more elaborate discussion. Tunnels are a great way to both increase your hamster’s territory and provide more stimulation for mental and physical exercise. In the wild, hamsters build and live in elaborate tunnel systems. Domestic hamsters thrive in an environment where they can have a tunnel system to run through and explore. Exploring these systems and using them as a safe space, or to hide treat and toys in, or build nests in will do a lot towards keeping your hamster from getting bored. If you are less than creative, there are a lot of amazing cages that have a tube or tunnel system built in like this one from GNB. It comes in different colors and has an elaborate system of tubes that will keep your hamster busy for quite a while. If you have the inclination, you can purchase sets of tubes that interlock with other cage components like a hamster house or gym, that you can rearrange to keep the environment interesting to your pet. With mix and match tubes and accessories sets such this tube set and this accessory set, both from Kaytee, you can get as elaborate and interesting as you like. You will be limited only by your imagination. Go tall above the top of your cage, or extend along the outside or in circles. Design a maze that your hammy has to figure out with a treat prize or his hamster home at the end. Spending time every day with your hamster is an important part of keeping your friend happy. Hamsters tend to bond or become comfortable with only one or two people and will come to recognize their smells and associate them with safety and security. A hamster owner should bring his hamster out for a little while after their pet wakes up in the evening. You should not wake a sleeping hamster to play, as he may be grumpy and unreceptive. Once your hamster is awake, he may stand on his back legs when he sees you because he knows it is time to come out an play. Take the time to talk to him, and pet him before you put him out to play. Playtime is an important time for bonding between pet and owner, as well as an opportunity for your hammy to play and explore the world around him. Spending quality time playing with your hamster so you get to know his personality is the most important thing that you can do to towards keeping your pet happy. Plus, once you get to know him, you will learn what toys and games he likes the best, and if he starts to behave unusually you are more likely to notice. Keep him entertained, keep him playing, and provide him with plenty of room and opportunity to run, and your hamster will never be bored again!